Text: Yuya Masumoto as well as inviting leading experimental musicans from the US, Japan, Europe and elsewhere to perform and collaborate with local musicians. The club has been designed with relaxed seating arrangements for up to 200 guests, an upstairs lounge and viewing space, and one of the best live music sound systems in China. Besides regular performances most nights, the club acts as a workshop, music rehearsal space, and a center for local filmmakers. 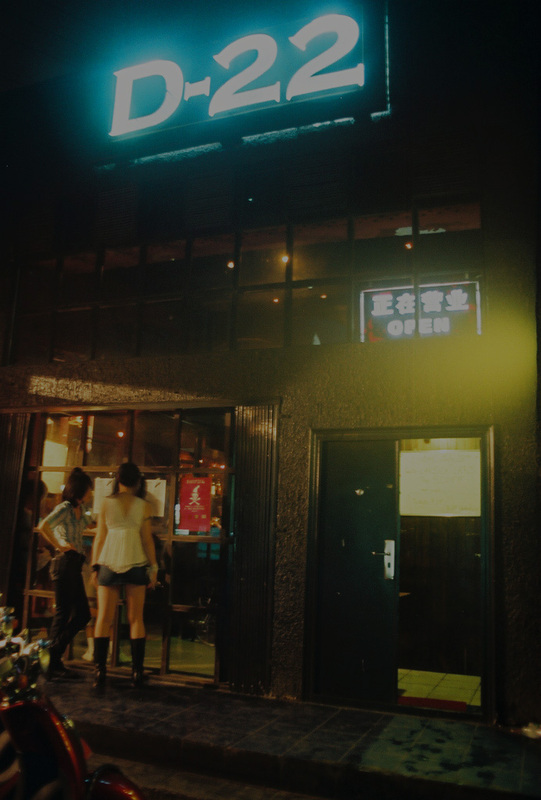 The partners involved in D-22 have previously run independent record labels in the US and China, managed a well-known music club in New York, curated performances at leading New York and Beijing venues, and written extensively in local and foreign periodicals about underground and experimental music in China. D-22 is not operated for profit and all revenues earned by the club are used to support the local music scene.